Bright Chimezie, a man who was charged alongside the leader of the Indigenous People of Biafra, IPOB, Nnamdi Kanu, wants Director of the Department of State Services, DSS, in Akwa Ibom State jailed. 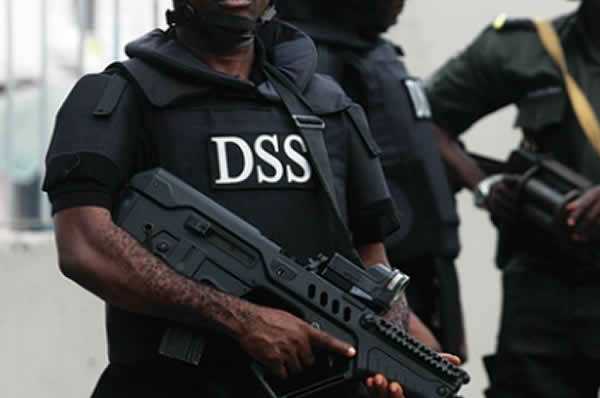 Chimezie, in a suit filed at the Federal High Court in Uyo, the state capital, said the state DSS Director be sent to prison over his continued detention and for disobeying court order. He said his continued detention by the secret police constituted an act of contempt of court to the Justice Ijeoma Ojukwu’s judgment, which was delivered on May 24, 2017. Justice Ojukwu, in the ruling had also ordered the DSS to pay the detainee compensatory damages of N5m for detaining him illegally. Chimezie filed the motion through his lead counsel, Ifeanyi Ejiofor. In a supporting affidavit to the motion, deposed to by Ahmed Sadiya, Chimezie said he was arrested by operatives of the secret police at his home in Uyo on October 14, 2016 and has since remained incarcerated. The document said Chimezie filed a fundamental human rights enforcement suit, marked, FHC/ABJ/CS/1046/2016, before the Federal High Court, Abuja Division. The affidavit noted that DSS filed a counter-affidavit to the suit, admitting that Chimezie was arrested in Uyo, but argued that the case could not be heard in Abuja. Against this background, the document said the suit filed in Abuja was discontinued and a fresh one with suit number – FHC/CS/UY/61/2017 was filed by Chimezie before the Uyo Division of the court. The affidavit said the case was heard on merit and Justice Ojukwu on May 24, 2017, ordered the DSS, Akwa Ibom State Command to release him and pay compensatory damages of N5m.